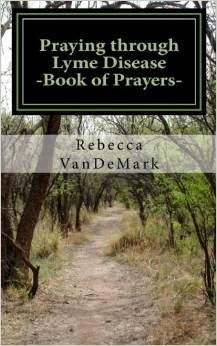 Y'all I am so humbled and excited to share that I received word this morning that out of 8 MILLION paper back books, "Praying through Lyme Disease" is currently ranked 99,513 on Amazon!!! It is unbelievable to me that for such a little book it is ranked so high!!!! I was speechless when I found this out that after only a couple of months on the market (and for being such a "niche" book) it was ranked this high! THANK YOU so much for spreading the word on this book, for purchasing it, and for being so supportive of this journey! My prayer is that every person reading this book will be drawn closer to the heart of God if they are suffering with this awful disease or are supporting a loved one suffering through this disease. Would you join me in that prayer? Thank you again! Happy Friday Friends!